Here at Jedi Insider, we want to spotlight awesome Toy Photographyfrom some of the hottest photographers on the Internet today. Today, we are spotlighting "The Sand Gets Everywhere" by Truupperi. Be sure to Give Truupperi a follow on Instagram and let them know what you think of their work in the comments below.If you'd like to be considered to have your work featured, if you haven't already, join the Toynewsi forums, and post your work in the Toy Photography section. This is a new segment we are launching here on JediInsider where we spotlight awesome Toy Photography from some of the hottest photographers on the Internet today. Today, we are spotlighting 'Death Star Site Visit' by ParkerP38ToyPhotos Be sure to Give ParkerP38 Toy Photos a follow on Instagram and let them know what you think of their work in the comments below. Here at Jedi Insider, we want to spotlight awesome Toy Photographyfrom some of the hottest photographers on the Internet today. Today, we are spotlighting "Guide Me Into The Light" by Atomic Vamp Be sure to Give Atomic Vamp a follow on Instagram and let them know what you think of their work in the comments below. 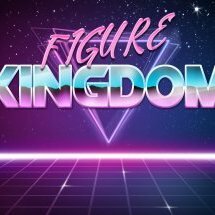 If you'd like to be considered to have your work featured, if you haven't already, join the Toynewsi forums, and post your work in the Toy Photography section. Here at Jedi Insider, we want to spotlight awesome Toy Photographyfrom some of the hottest photographers on the Internet today. Today, we are spotlighting Photographer Shooting The Galaxy, and this image, "Imperial March" Be sure to Give Shooting The Galaxy a follow on Instagram and let him know what you think of his work in the comments below.If you'd like to be considered to have your work featured, if you haven't already, join the Toynewsi forums, and post your work in the Toy Photography section. Here at Jedi Insider, we want to spotlight awesome Toy Photography from some of the hottest photographers on the Internet today. Today, we are spotlighting The Lost Shipment by Truupperi. Be sure to Give Truupperi a follow on Instagram and let them know what you think of their work in the comments below. The Black series has come a long way, the printed faces make a huge difference. Some look as good if not better than some of the import figures. 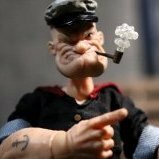 I can’t stop photographing this Popeye figure! So good! A couple more shots of Popeye shots. This figure is just too awesome! In this segment we call TNI Toy Photo Of The Day we are spotlighting awesome Toy Photography from some of the hottest photographers on the Internet today. For today's photo we are spotlighting Photographer Rakanishu and his series of photos showing off the recent Storm Collectibles 1/12 Scorpion & Rain figures. This series of photos is titled "FINISH HIM". FINISH HIM By Rakanishu Check out the rest of the images below and be sure to Give Rakanishu a follow on Instagram and let him know what you think about the photo in the COMMENTS SECTION. Storm Collectibles Mortal Kombat figures can be purchased at our sponsor Megalopolis.Toys. Here at Jedi Insider, we want to spotlight awesome Toy Photographyfrom some of the hottest photographers on the Internet today. Today, we are spotlighting this image of the Hot Toys The Force Awakens Han Solo by John M. Huang. Be sure to Give Johnm Huang a follow on Instagram and let them know what you think of their work in the comments below.If you'd like to be considered to have your work featured, if you haven't already, join the Toynewsi forums, and post your work in the Toy Photography section. Jedi Insider Star Wars Photo Of The Day: "I Took On The Whole Empire!" by Truupperi. Here at Jedi Insider, we want to spotlight awesome Toy Photographyfrom some of the hottest photographers on the Internet today. Today, we are spotlighting "I Took On The Whole Empire!" by Truupperi. Be sure to Give Truupperi a follow on Instagram and let them know what you think of their work in the comments below.If you'd like to be considered to have your work featured, if you haven't already, join the Toynewsi forums, and post your work in the Toy Photography section. Here at Jedi Insider, we want to spotlight awesome Toy Photographyfrom some of the hottest photographers on the Internet today. Today, we are spotlighting Photographer Shooting The Galaxy, and this image, "Stand Down Anakin" Be sure to Give Shooting The Galaxy a follow on Instagram and let him know what you think of his work in the comments below. Here at Jedi Insider, we want to spotlight awesome Toy Photography from some of the hottest photographers on the Internet today. Today, we are spotlighting "Trandoshan Badassery" by Hazanenis. Be sure to Give Hazanenis a follow on Instagram and let him know what you think of his work in the comments below. This is a amazing figure from Mezcotoyz! The Tattoos and freckles in the skin look so good. This is a keeper for sure. Love it! Here at Jedi Insider, we want to spotlight awesome Toy Photography from some of the hottest photographers on the Internet today. Today, we are spotlighting Photographer Rebel Jawa, and Hera Interrogation Be sure to Give Rebel Jawa a follow on Instagram and let him know what you think of his work in the comments below. Here at Jedi Insider, we want to spotlight awesome Toy Photography from some of the hottest photographers on the Internet today. Today, we are spotlighting this image from photographer Wretched Hive Be sure to Give Wretched Hive a follow on Instagram and let him know what you think of his work in the comments below.